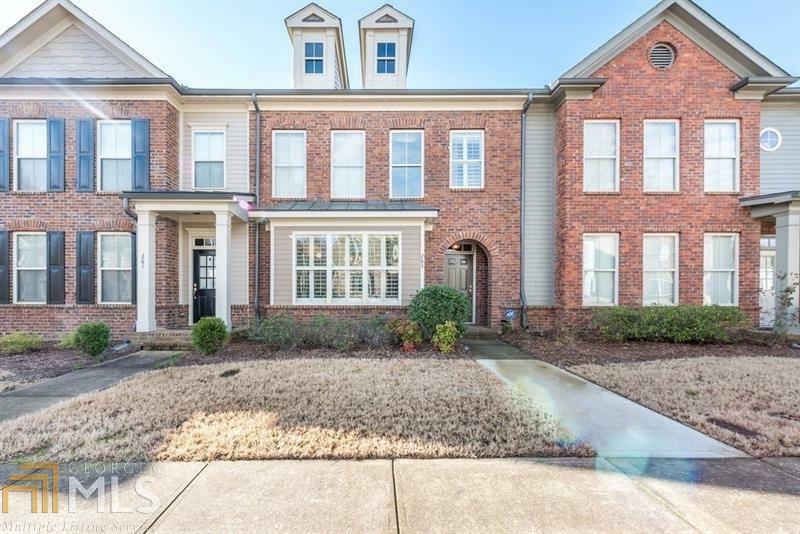 Carefree living in this elegant brick town home in desirable Harmony on the Lakes! *Plantation shutters & hardwood floors! *Island kitchen w/ granite counters & pantry views great room w/ cozy fireplace & built-in bookcases! *Separate dining room*Main floor powder room*Two very large bedrooms up*Master has a separate shower,double vanity and whirlpool tub! *Bright windows though-out every room! *French door to private rear courtyard w/ paver patio! *Walk-in laundry rm! *Two-car attached garage! *Neighbor amenities include clubhouse,dog park,fitness center,lake,pool&playground! Directions: From I575n, Turn Right At Exit 14, Holly Springs Pkwy. Left On Hickory Rd. Left On Harmony Lakes Dr. Left On S Village Square. Home Is On The Left.